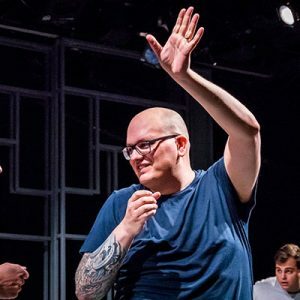 Since starting in 2014, Zach has studied improv and sketch under JC Calcerano, Stephen Carter, Ali Farahnakian, Jonathan Murphy, Kate Symes, and many more. He is also a founding member of the indie troupes Helper Pony and BOOKS. When he’s not improvising, Zach is usually performing noise music, creating comics / illustrations, or teaching one of his cats to high-five.